The graceful and decorative appearance of this landscape literature display will be an invitation to many people passing by. Its simple yet contemporary form creates a very European style design. This 38″ high elegant display stand features a clear polycarbon pocket and a silver satin aluminum post. 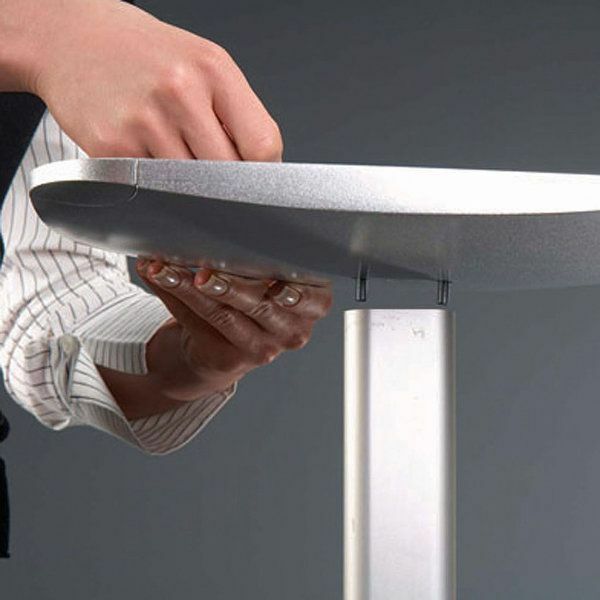 In this clear pocket, the literature display holds large brochures and pamphlets: 8-1/2″ x 11″ literature to be precise. 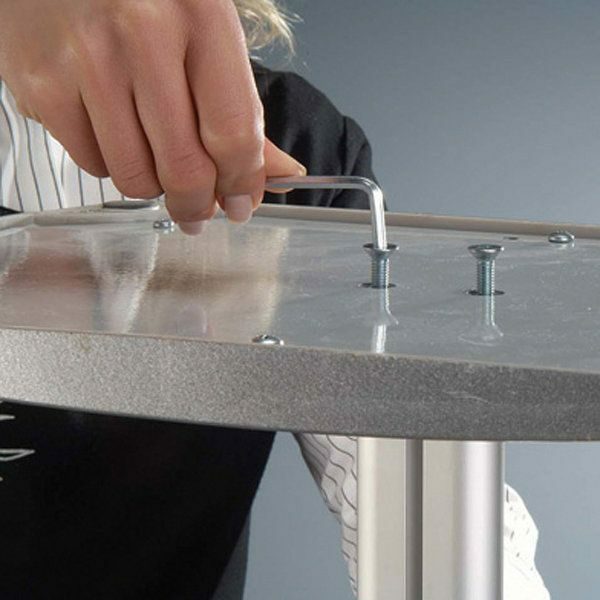 The pocket is laser cut from durable, 3/16″ inch polycarbon and crafted with polished edges. 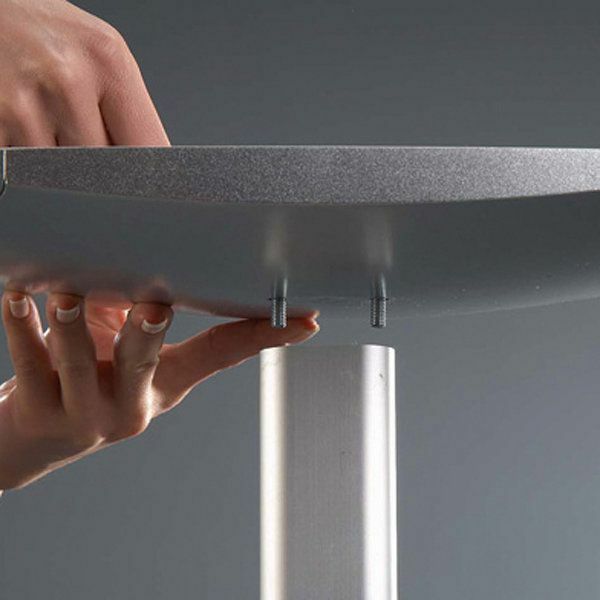 It is set on a 45 degree angle directly in the view of the visitors. 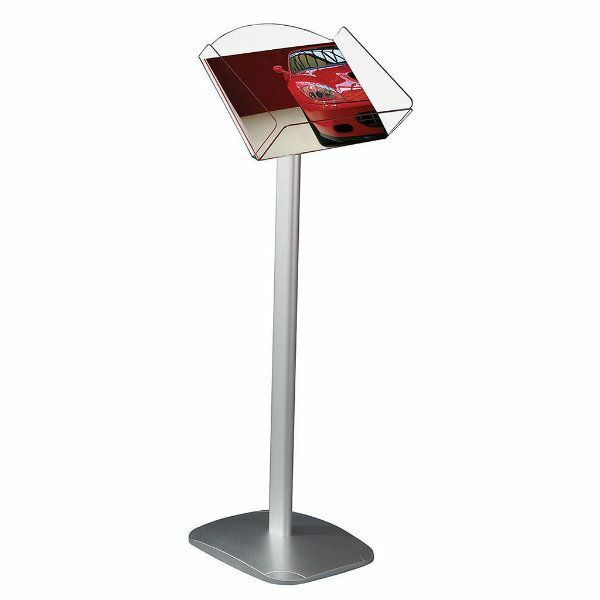 Brochure holders like this one will create a prestigious effect in your trade show booth or in your showroom. 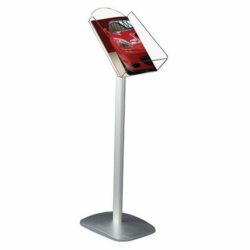 You can place them at the entrance of your stand, right beside your product or next to the information booth during a trade show. 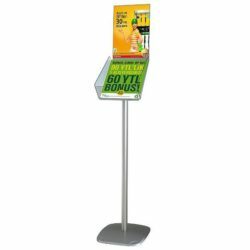 You can be sure that the literature stand will neatly provide the pamphlets to the visitors. 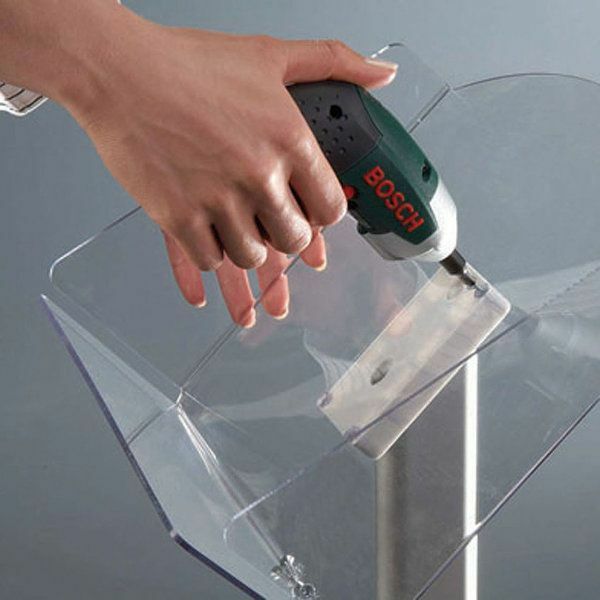 This literature holder features easy and quick assembly. 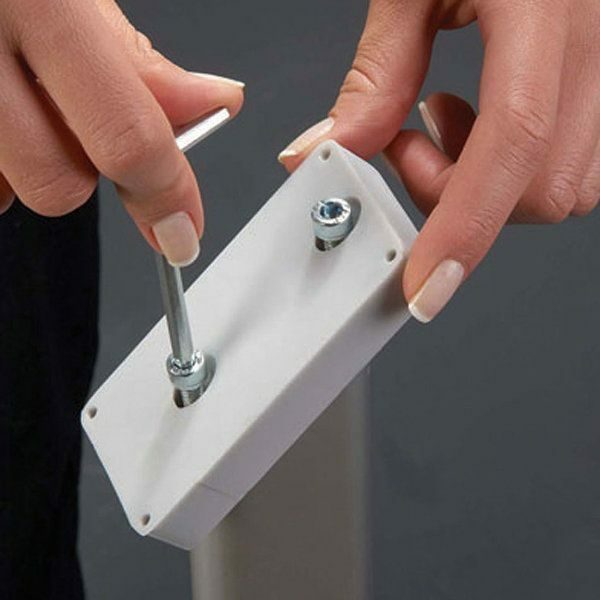 You just connect the base and the pocket to the post with screws which comes with the unit. 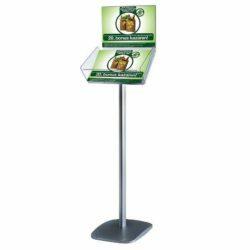 Get this pamphlet holder and put it inside trade show exhibits to liven up your business!